Lacquered or Natural wood finish. This comfortable four-legged chair has a tall, straight back for good posture and freedom of movement. 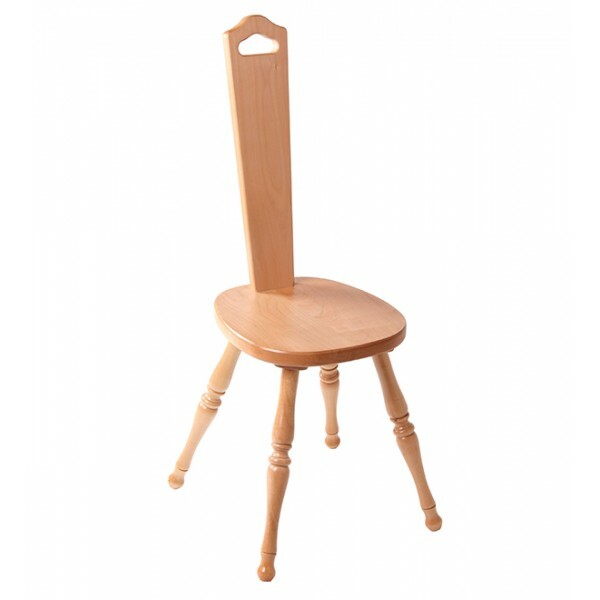 Made from turned Silver Beech hardwood to complement your spinning wheel. Features hand hold.